Welcome to my Online Decorating Services! 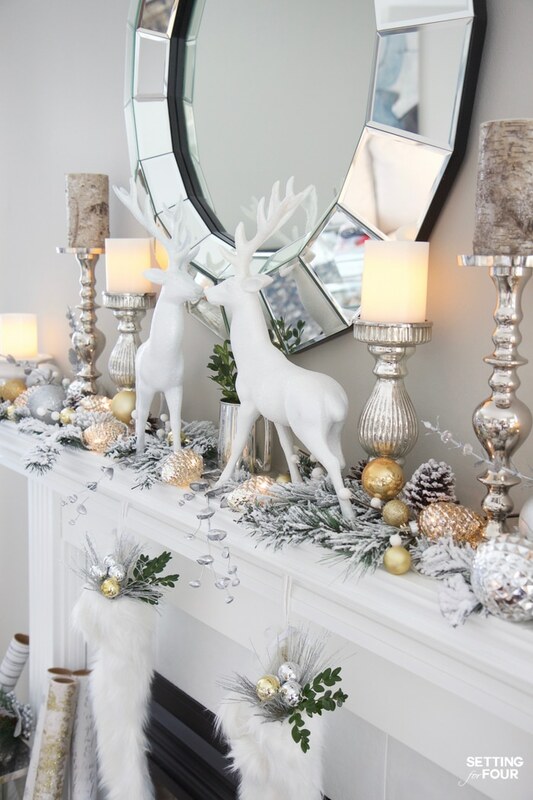 Need decorating help? Stuck with a room’s decor or layout? 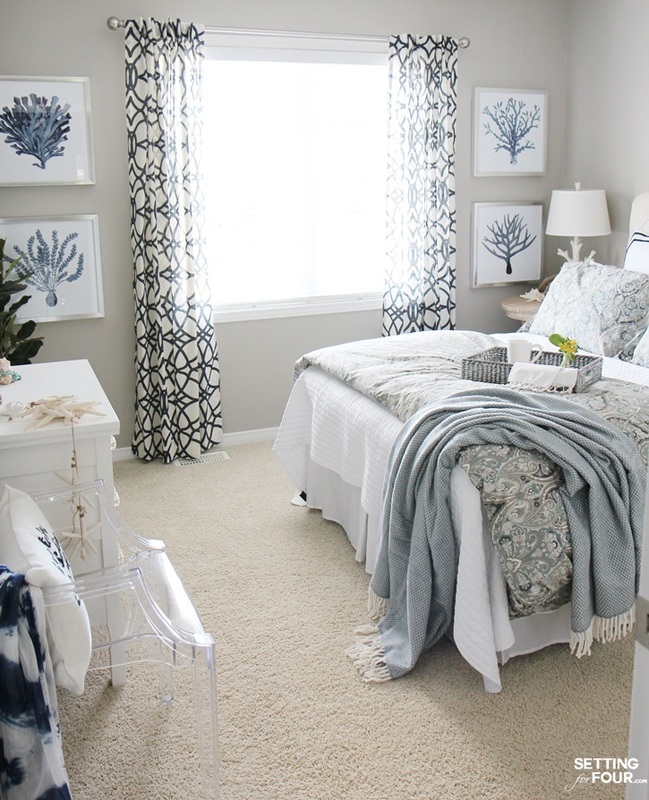 Need advice on the perfect paint color for your room? I can help solve your decorating challenges and together we can create the beautiful home you’ve dreamed of! 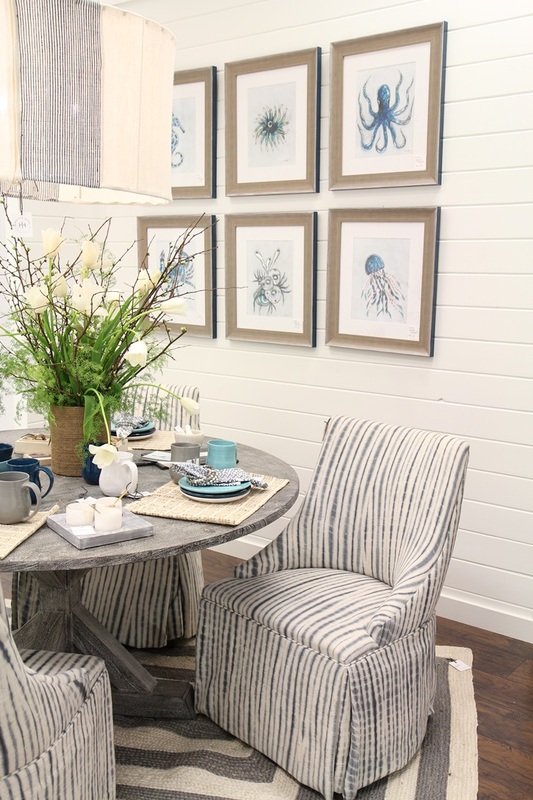 Ready to kick up your home’s style up a notch? Email me at [email protected] – let’s create a home you love! 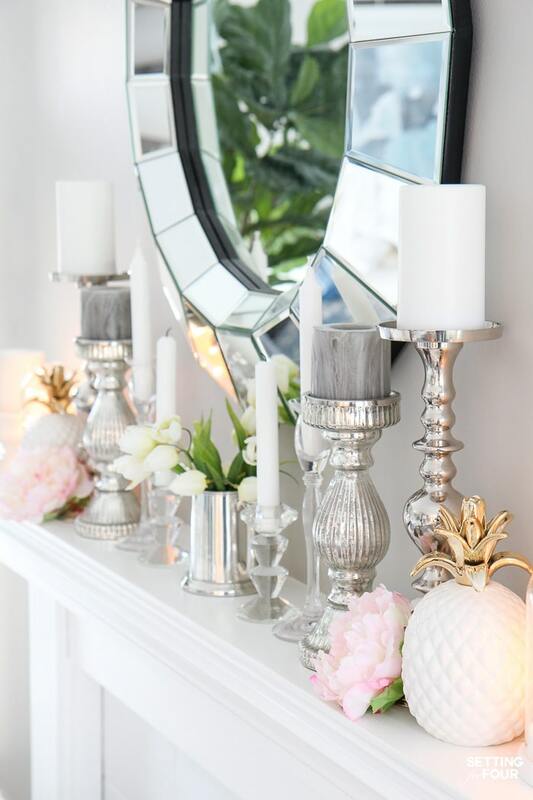 I am an Interior Decorator and a interior stylist for top decor brand’s such as Wayfair, Birch Lane, Mikasa and World Market. On this Design and Lifestyle website I have documented the rooms I have designed and decorated in my home. See my House Tour page for a look at my home. I have also been a La-Z-Boy Design Dash contestant where I designed a room from scratch in just 36 hours! It was so much fun! You can read all about it here and this is the finished living room I designed. I have also been a Design Trend Scout for AmericasMart Design Market in Atlanta – you can read about my experience and my trend report here. I am also a Better Homes and Gardens Stylemaker and have attended their excitingDesign Influencers event in New York City. You can read about that here. Also, I’m a military wife that has moved A LOT! I have a lot of real life experience with different floor plans and furniture layouts, making my furniture and decor work in every house I’ve lived in! I don’t believe it’s necessary to buy a whole room of new furniture to redecorate – unless you want to and can afford to! 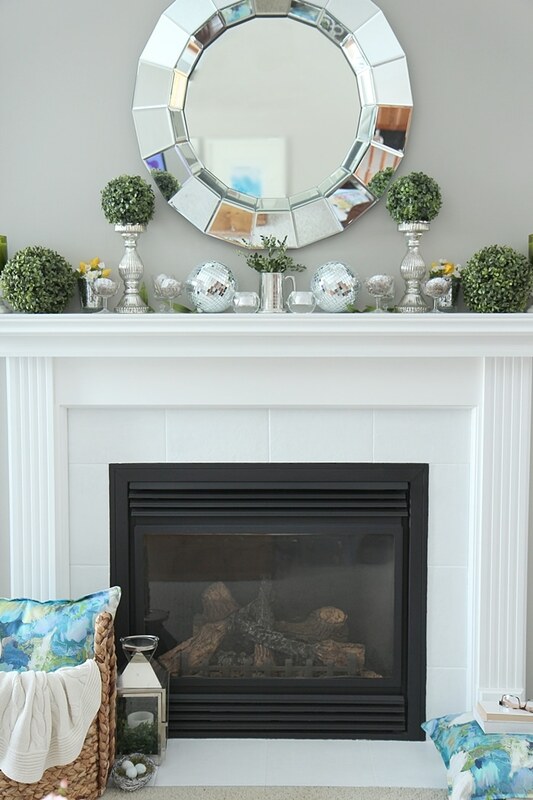 Use what you have that works for the space, your needs and fill in with new pieces you may need. Heather created a beautiful design for my dining room. 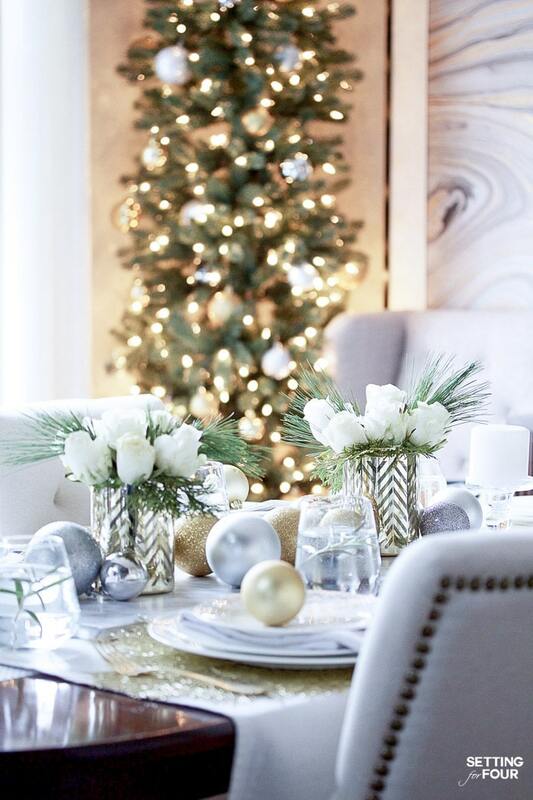 I have always struggled with decorating, had good intentions in my head, but could never make them come to fruition. She asked perfect questions about my likes and dislikes, what in the room was staying, things I couldn’t part with, and worked with that to create a beautiful, well designed board for me to follow. I now know where to buy the furniture, decor, pictures and how to put it into my room. The satisfaction of having a design to follow takes such a heavy burden off my shoulders. I have stopped spending countless hours on the internet, Pinterest, and other sites looking for inspiration! Heather put it all together for me. You have no idea how happy I am. (my husband too). I look forward to working with her in the future on other projects! I absolutely love EVERYTHING about this design, Heather!! Completely blown away!! I will start shopping for the items this weekend and can’t wait to pull the space together. Thank you so so much! I love the design! Thank you for sharing your talents with me and getting back to me so quickly with such a lovely design. I appreciate your detailed email sharing with me the specifics of the design as well. It was so very helpful. Thanks again! I am off to start shopping! 1. You email me at [email protected],com with your decorating concern. 2. I’ll ask you some questions about your space, what exactly you want to change and I’ll give you the fee. 4. I work on your design and create a plan for you that will solve your decorating concerns and create a space you’ll love! 5. I’ll email you the complete design plan with the solutions to fix your design problem. Let’s get started! Email me at [email protected] with the subject title “Online Design Service” and let’s create a home you love! 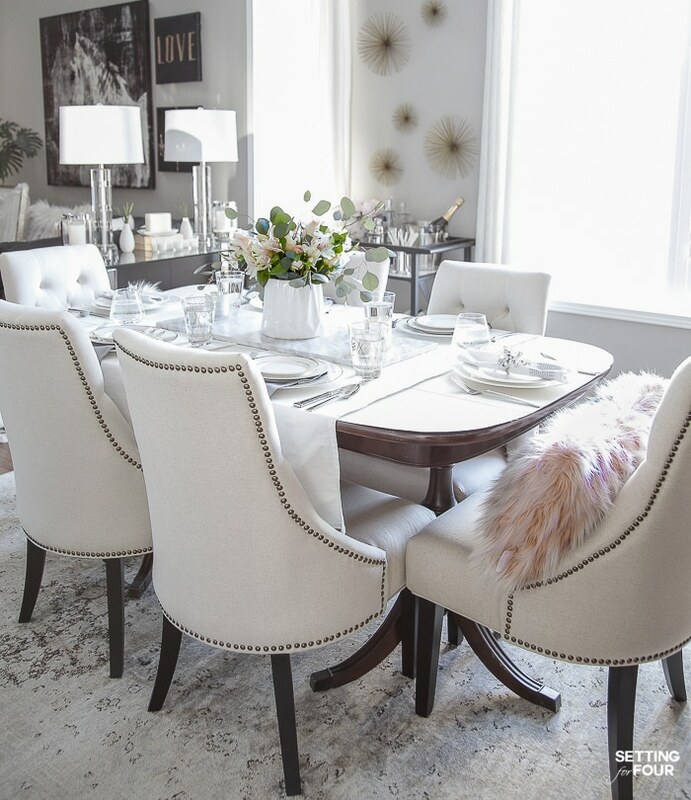 We can discuss what you need help with, your decor style, your budget and pricing. Do you have a single question regarding the correct size of area rug you need? Choosing the right color drapes for a room? The right paint color for your room or front door? 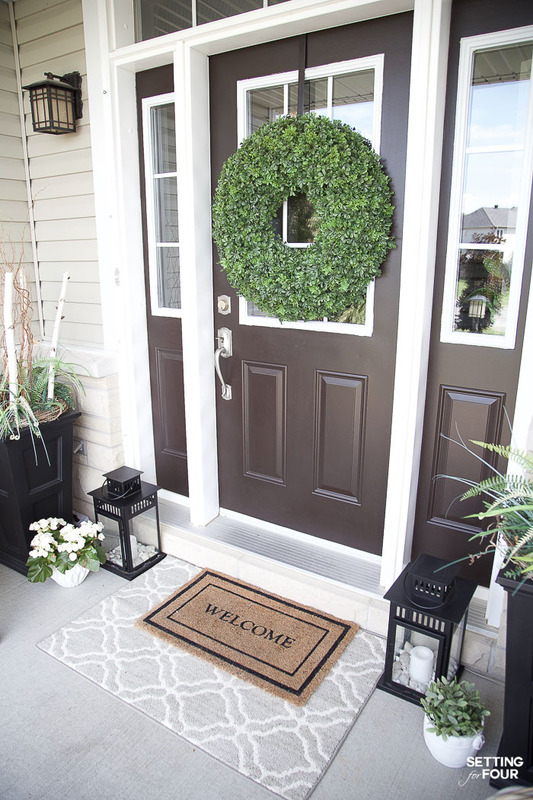 See my front door color and home paint colors here. 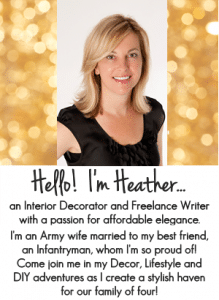 I’m a military wife who has moved MANY times into homes that have all kinds of room sizes and shapes…..with the same furniture! So I’ve developed an experienced ‘eye’ for room and furniture layout and can find fabulous solutions for your furniture placement dilemmas in open concept homes, small spaces and odd shaped rooms. 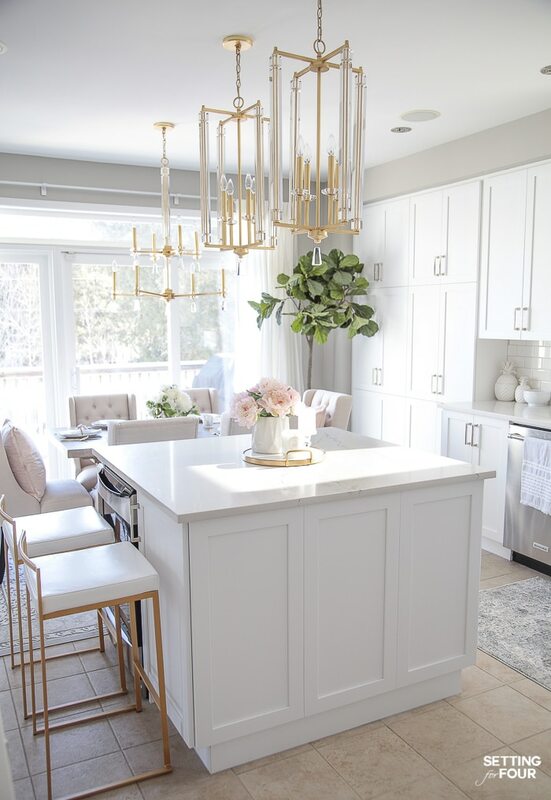 We recently remodeled our own kitchen and I love designing kitchens for my clients! Let me help you pick out cabinets, lighting, bar stools, tile and backsplash! 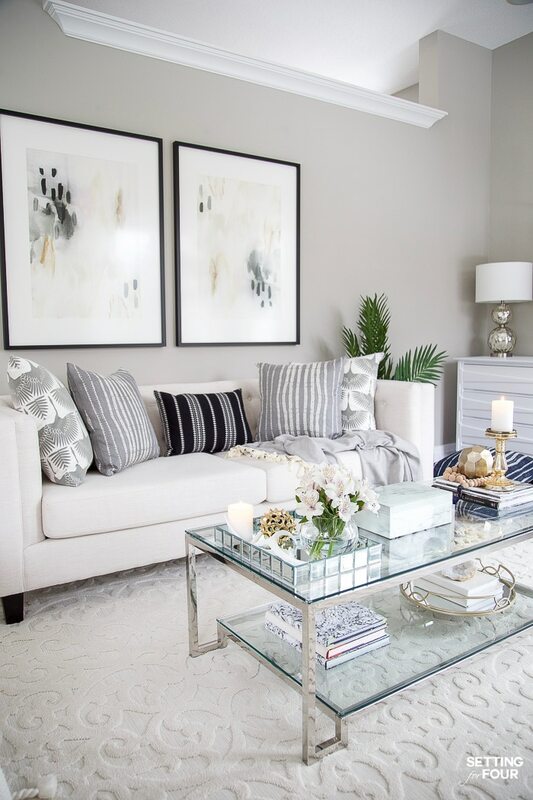 I can help you choose the perfect fabrics to make drapes, pillows or help you choose what drapes, bedding, throw pillows and throw blankets to buy for your room! I can advise you on paint colors for your home! See all of my paint colors here. 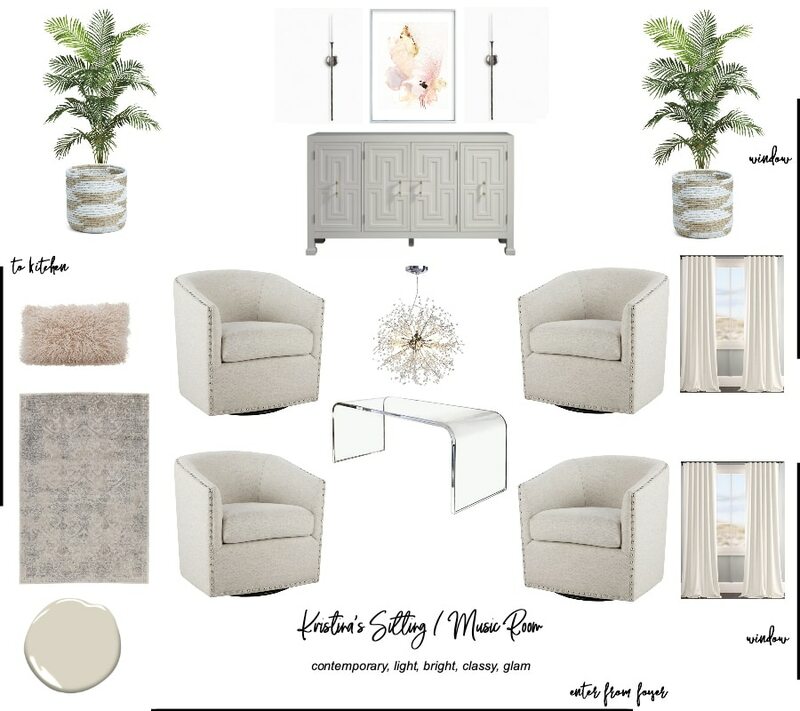 I create Design Boards with Itemized Resource Lists so you can shop for the items yourself to give your room a new look! Living Room Design – this client wanted a place to entertain and listen to music. 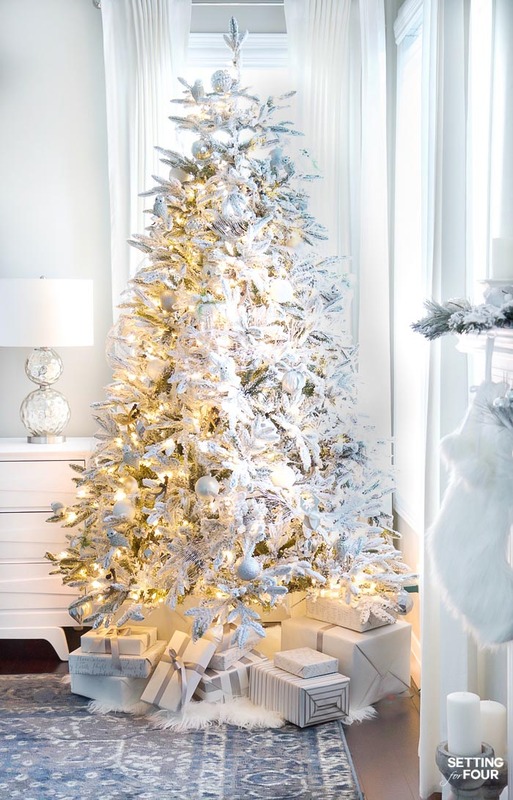 Need help decorating your home and Christmas tree for the holidays? I can help you do that based on your holiday colors and your style! Email me at [email protected] with the subject title “Online Design Service” and let’s create a home you love! 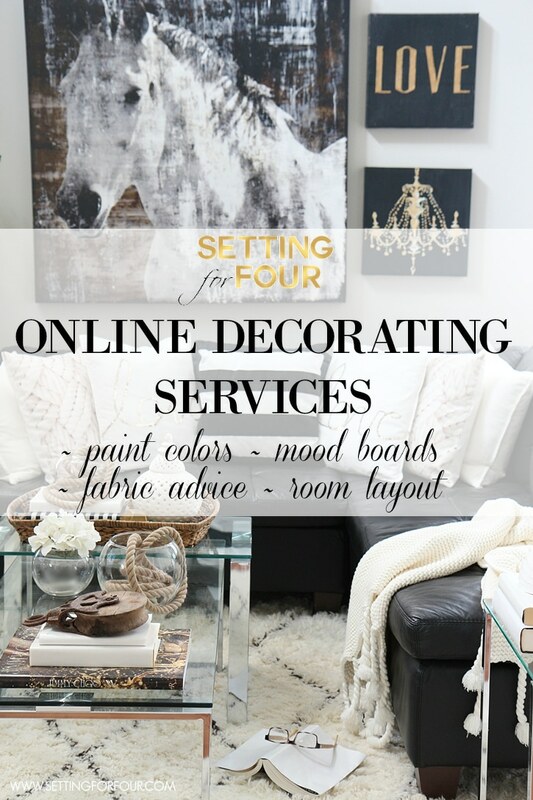 We can discuss what you need help with and how the online decor services process works! 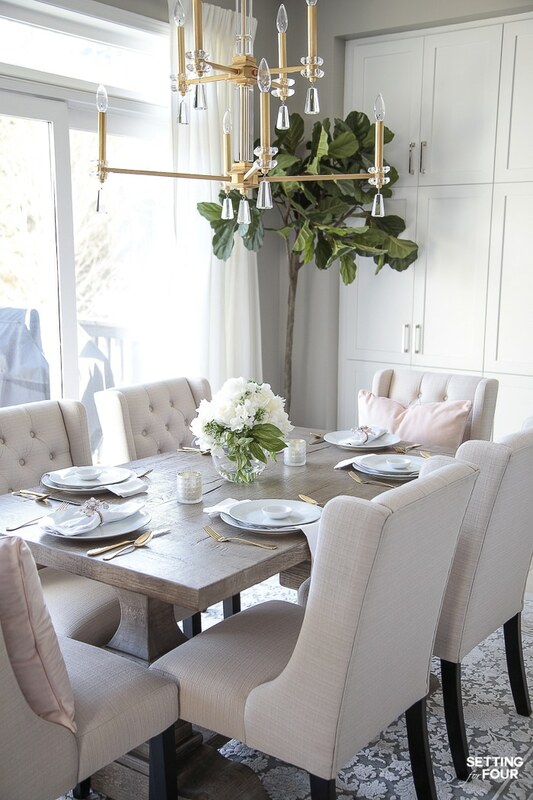 Don’t forget to Subscribe to Setting for Four to get all of my FREE Decor tips, Home Inspiration and Recipes! 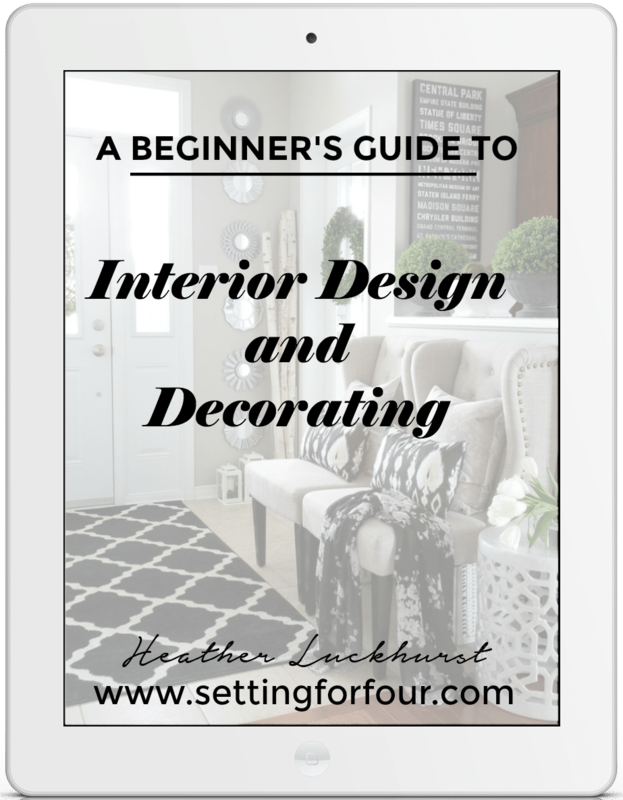 And you’ll receive my FREE Decorating Guide: Best Sources for Stylish Decor on a Budget! Love your bloga. I am using the same SW paints you list. My problem is the Weathervane on your front door I can’t find at my SW. Could this color be from another paint source? Sears, Lowe’s, HD? Appreicate your answer and keep the great help coming!! It’s from SW Cindy!! Thanks for your compliments! I really love the new color…..the green is so fresh and outdoorsy! Love as accents or decor as opposed to a room painted. How much do you charge for your design services?? Hi Kathie – so glad you like this color too! Email me at [email protected] with your decorating concern and what you want to change and I’ll quote you a price based on that! I love the new kitchen wall color you chose. 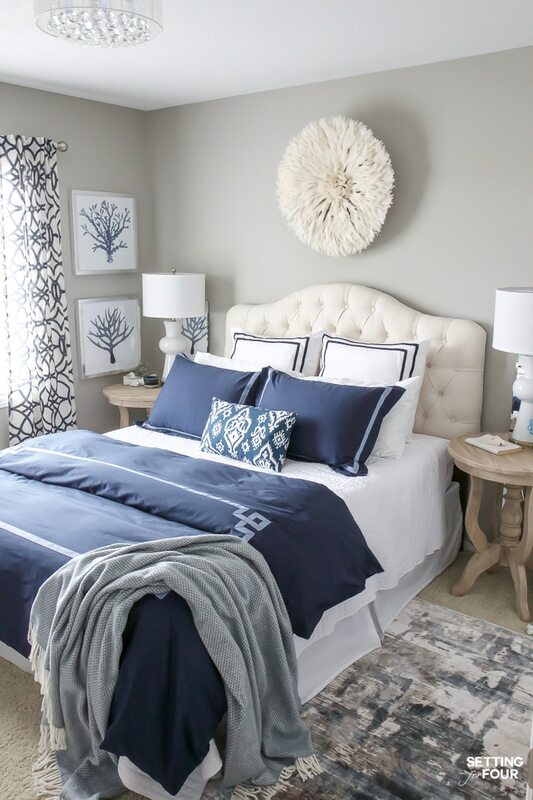 I struggle a lot with selecting a paint color and making the look that I envision come to life. Budget is a factor as well as factoring in little ones and not knowing how to complete my ideas. I have so many pins and ideas but no experience putting it all together. My sister-in-law is a natural at it and I always marvel at her put together home when I visit. I just found your site through pinterest and have been thoroughly enjoying it. Heather I’ve been following you for quite a while now and I must say you do have a very nice decorating style. The first time I saw the horse picture, I was in love! As I ventured through your blog here and there I found I really like your style. The settee in the entry really set you apart from other decorating I had seen and I keep watching for more. I am well aware of the military life and that moving! I loved decorating all my different “homes of the time” lol. Mcgypsy derives from…mc..my last name …and gypsy…because we move so much…lol! Anyway you do have a beautiful style and I wish you much luck with your design company!